I always find the stained glass art at church are really beautiful. What if I tell you you can get similar effect at home on your nails? 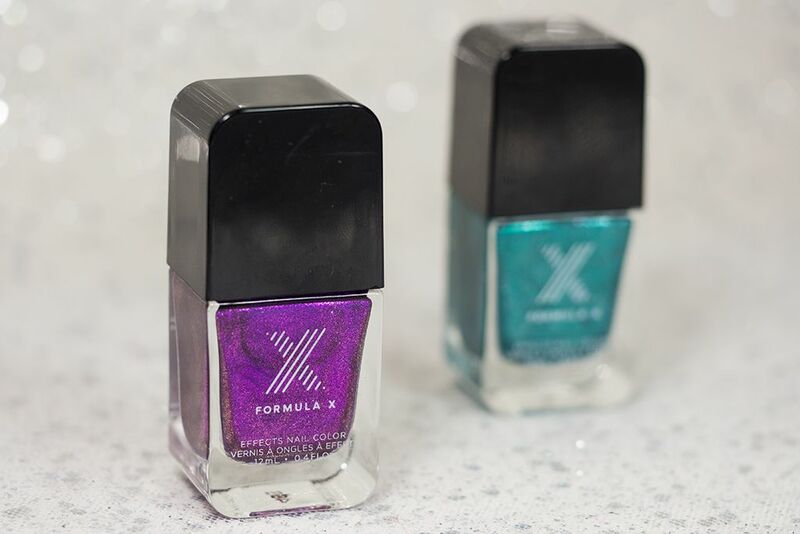 The Formula X For Sephora Liquid Crystals (CA $15.00 / US $12.50) did that for me. 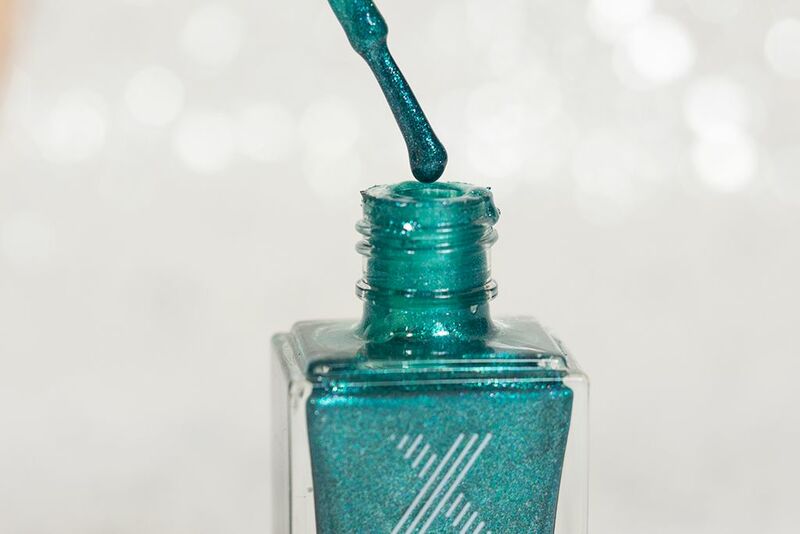 These new nails polishes are high shine with micro glitter packed in each of the colour. The two shades I tried are both quite light reflecting, resembles the look of light shining on stained glass. They are quite sheer but it can definitely be built up to an opaque colour (about 2 to 3 coats will do the job). You can also use them on top of other colours but I like them on its own. 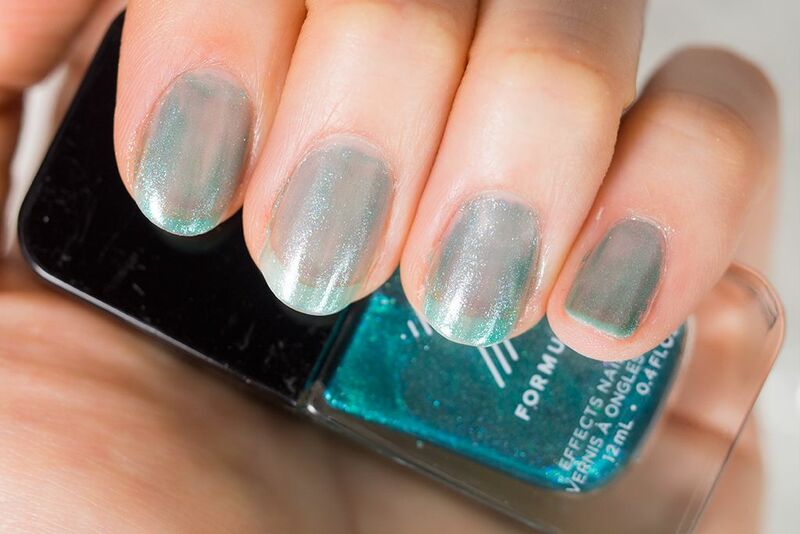 As for the formula, it is quite fast drying, which I absolutely love because I have no patience and I have the tendency of messing up my nails right after I did them, haha. 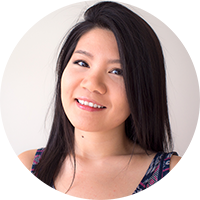 They are also quite long lasting that I observed minimal chipping over a week of wearing them. The removal of these Liquid Crystals are quite pleasant because they don't grab onto your nails like regular glitter nail polishes. However, you will see some glitter leftover, but those are easy to clean up with a cotton swab. 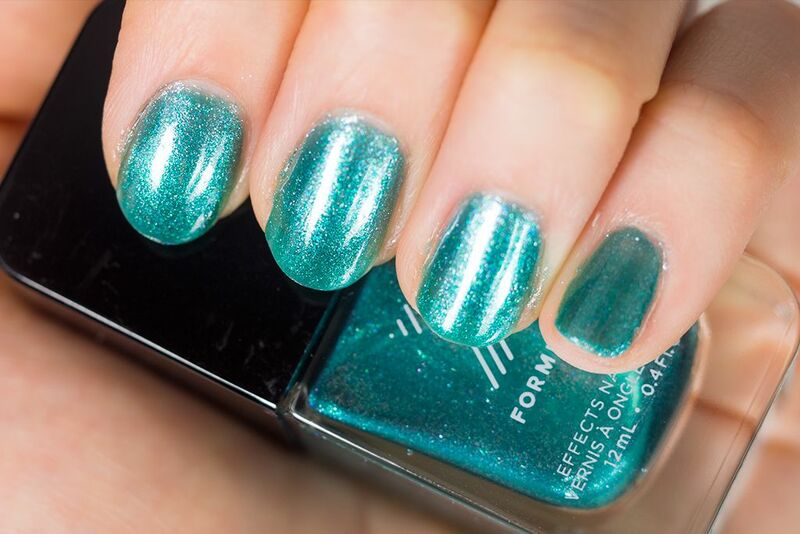 Prismatic is emerald green with emerald micro glitter. I think this shade is on the sheered end of the spectrum because I find I need 3 coats to get a pigmented coverage. This colour shows off the "stained glass" effect the best among the two I have. 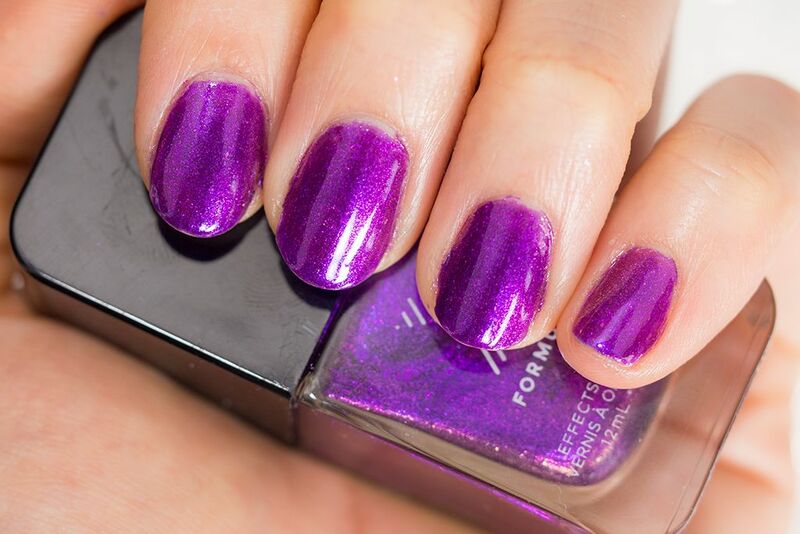 Equinox is a purple with purple micro glitter. This shade is on the more pigmented side as 2 coats give good coverage. These two shades are phenomenal, the only I dislike was the brush, I wish it comes with a wider brush to make application easier. But I think the formula and the colours win me over so I can overlook this. 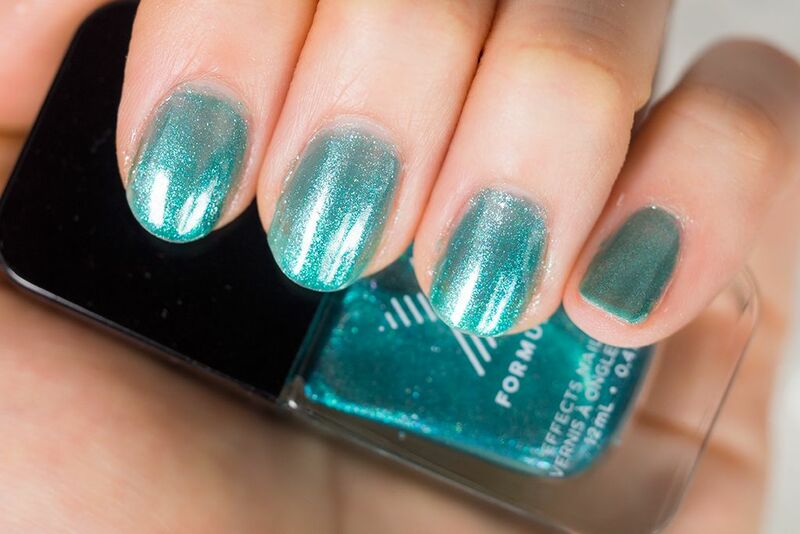 I would love to try Moon Glow because it looks so pretty online (I should swatch them next time at Sephora). Next time, if you pass by Sephora, go swatch these unique colours and discover them yourself.